There is a history of creating — let’s say unique — head gear. Witness the above — the Electromagnetic Gigaflux Reactivator. 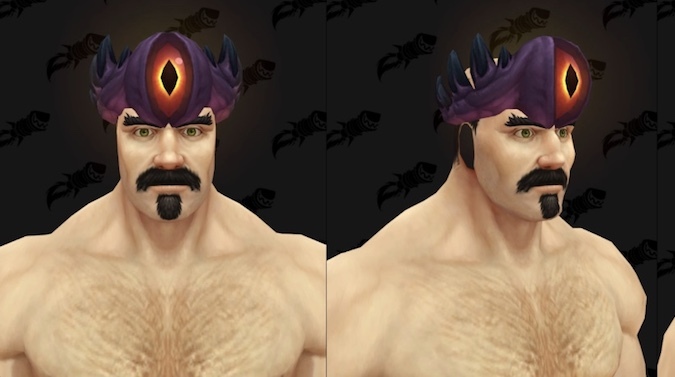 New off the PTR is another hat joining the long list of crazy helms. This is coming with patch 8.1.5. Called Gift of N’zoth, this lovely number is a white quality cosmetic item. There is no word yet on how you obtain this, but I’ve already got an idea for a transmog contest for my guild. I also think this ranks right down there with the collection of horrible helms I put together for Hallow’s End. An eyeball helm is not the only curiosity coming off the PTR. The following have also been datamined by our friends over at Wowhead. Jelly Jam. This will require Vashj’ir Diving Day — a new micro holiday coming with 8.1.5. Your guess is as good as mine how we’ll obtain this. Submersible Propulsion Device. Also requiring Vashj’ir Diving Day, this item gives the bearer a 200% swim speed increase. Of all the zones, Vashj’ir is my least favorite. I might have to check out this micro holiday just for these items. Unstoppable Manapearl. This item appears to work only in Kul Tiras or Zandalar. When you use it, your critical strike, mastery, haste or versatility increases by 1000 for an hour. Will it work inside dungeons or raids? My guess is no. This is probably coming as an aid to facing the naga in patch 8.2. Dark Iron Tankard. “An extremely potent alcoholic beverage”. I’m a dwarf. We’ll see about that. As someone who pretty much drinks anything in the game, I can’t wait to find this. I wonder if — once you get the tankard — it automatically refills as other such items do. Rubber scraps. This gray item has the tooltip “No ball lasts forever”. This could lend itself to a gathering achievement where you have to get rubber scraps from various zones while you have a dog battle pet out. This would be along the lines of Must Love Dogs from Mogu’shan Vaults. Also coming are some tailoring patterns which were removed from the game with the Cataclysm revamp. I’m excited to see the return of the Cindercloth Vest and Gloves. My tailor knows the vest but not the gloves. These were very rare drops off mobs in Searing Gorge. 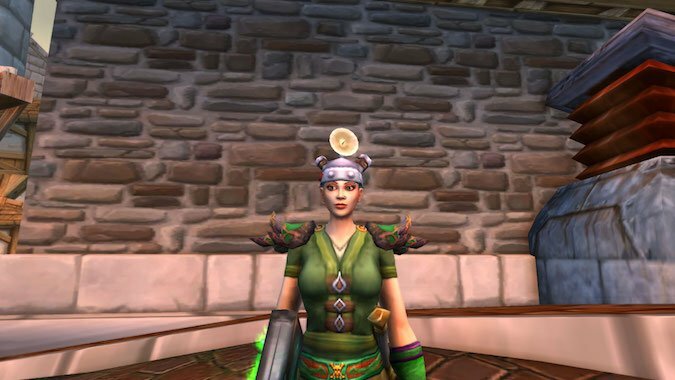 These things returning and the new eyeball hat are probably due to the popularity of transmog. Other than the manapearl, these are quality of life items which may not do anything for your game other than look cool or weird or silly or help you win a transmog contest. I’m all for that.